THE MOST EXCITING KARTING TRACK IN THE NORTH EAST! We have over 20 years experience of providing karting as well as other motorised activities. Our main circuit was laid in 1996 and remains the centrepiece of an unrivalled facility. 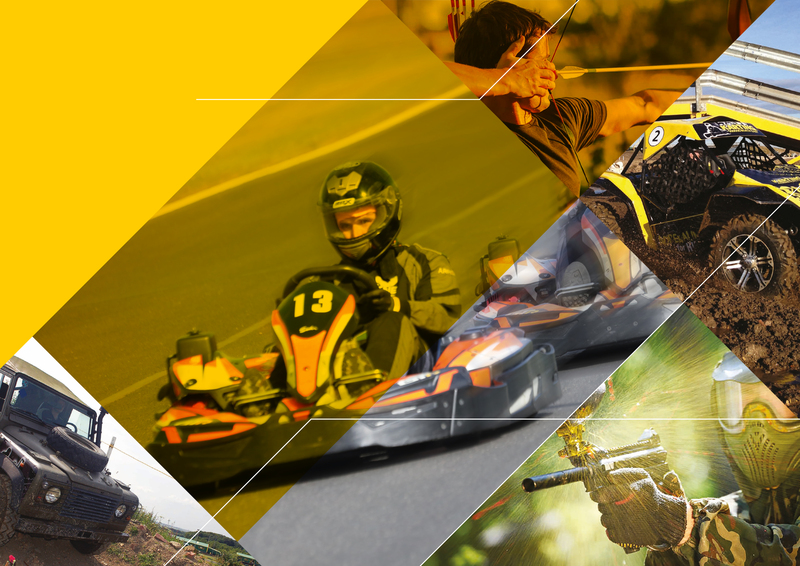 The 1200 metre circuit is both fast and technical, and with our fleet of 35 390cc karts and 11 160cc junior karts, it’s an unforgettable experience. We also have a 350 metre junior circuit for budding F1 drivers which is ideal for birthday parties. Our purpose built WW2 themed paintball facility is the largest paintball arena in the UK. There’s no woodland adventure here – it’s all sandbags, bunkers and obstacles for you to hide behind and surprise the enemy! Use your soldier skills to defeat the opposition in our high energy games. Experience the thrill of 1000cc Can Am buggies as they race head to head on our 1000m rally special stage. Take aim and channel your inner Robin Hood with our Archery and Tomahawk ranges. Why not call in to see the facilities first hand? We’re proud to be one of the best activity centres in the country!